This workshop seeks to foster discussions and conceptual ideas regarding the convergence of three technologies which will have a major impact on the next generation of technology enhanced learning environments: pervasive computing, social media and the semantic web. Each of these technologies provides its own opportunities and challenges. Their convergence could enable the development of new educational practices in situated and networked learning. The aim of the workshop is to bring together practitioners and academics interested in the application of pervasive computing, social media and the semantic web to new educational settings and future learning landscapes. The main outcome will be a published white paper on future research directions. - How can we combine and reuse data to enable activities and collaborations across multiple environments to support learners? - How can we employ semantic, social and contextual technologies to help tutors and teachers to understand learning processes and learner progression? - What are the technological and social issues relating to the merging of semantic and social technologies for learning across diverse cultures and settings? - How can we create mixed reality environments for learning that merge physical and virtual environments? - How can we create new digitally enhanced learning spaces with pervasive and contextual technologies? Each position paper should address one or more of the topics of the workshop and range from 2 to 4 pages long. It should outline the submitter’s view on the workshop themes and the reasons for the submitter’s interest in the particular topic. Based on the analysis of the submissions, the workshop organisers will prepare a short synthesis and issue-oriented presentation to introduce the workshop. The paper "PLEM: a Web 2.0 driven Long Tail aggregator and filter for e-learning" has been published in the International Journal of Web Information Systems (IJWIS) by Emerald. A preprint of this paper can be downloaded here. The PLEM project homepage can be accessed here. The Personal Learning Environment (PLE) driven approach to learning suggests a shift in emphasis from a teacher driven knowledge-push to a learner driven knowledge-pull learning model. One concern with knowledge-pull approaches is knowledge overload. The concepts of collective intelligence and the Long Tail provide a potential solution to help learners cope with the problem of knowledge overload. Based on these concepts, the paper proposes a filtering mechanism that taps the collective intelligence to help learners find quality in the Long Tail, thus overcoming the problem of knowledge overload. 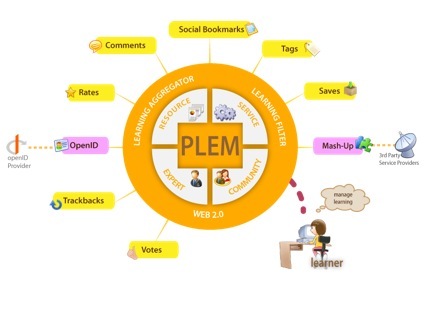 We present theoretical, design, and implementation details of PLEM, a Web 2.0 driven service for personal learning management, which acts as a Long Tail aggregator and filter for learning. 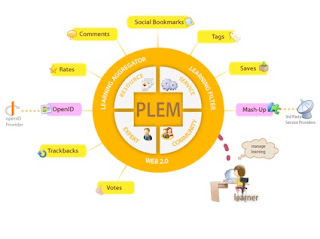 The primary aim of PLEM is to harness the collective intelligence and leverage social filtering methods to rank and recommend learning entities. Chatti, M.A., Anggraeni, Jarke, M., Specht, M., and Maillet, K. (2010) ‘PLEM: a Web 2.0 driven Long Tail aggregator and filter for e-learning’, International Journal of Web Information Systems, Vol. 6, No. 1, pp. 5–23.